A peace group in Pakistan administrated Kashmir has urged India and Pakistan to facilitate the reunion of divided families so that people can fulfil their shattered dreams of visiting birthplaces. In a statement issued here on Tuesday, Press for Peace (PFP) has appreciated divided Kashmiri families for sharing their experiences of partition on social media. It appreciated Ms Romi Sharma Poonchi and other activists who highlighted tragic stories of migrated people from different parts of separated State. PFP said that governments of both parts of Jammu and Kashmir should consider human aspirations of people who migrated from Poonch, Bagh and Muzaffarabad to Jammu or migrated from Karnah, Uri and Poonch to various cities in Pakistan administrated Kashmir. The statement mentioned that Prime Minister Farooq Haider who himself belongs to a migrated family should support migrated people to visit their places of origin in Azad Kashmir (POK). Partition was a tragic incident of history and peace-loving people on both sides of LOC should work together to heal the wounds of divided people. 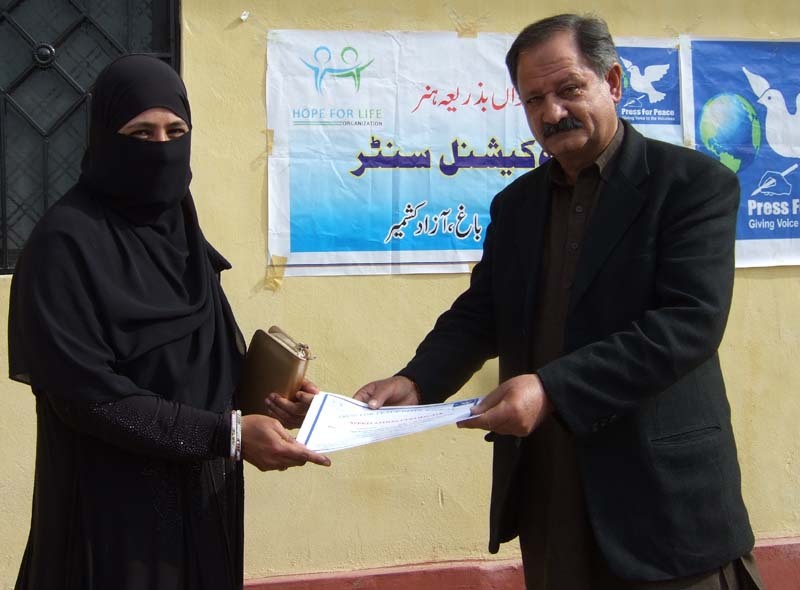 Without full participation of women development cannot be achieved. Far too many women continue to be denied equal opportunities in education, employment and decision- making. 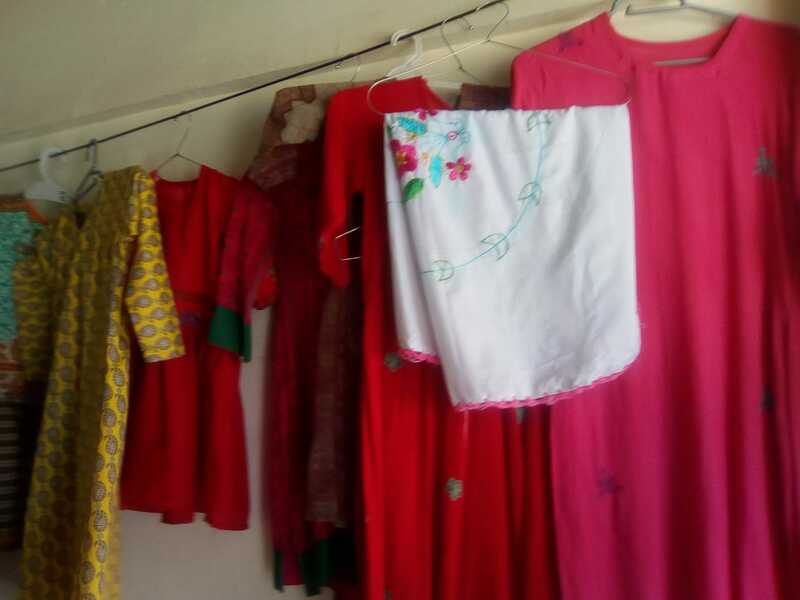 These views were expressed by several speakers at Women Vocational Centre organised by Press For Peace (PFP) in Naar Sher Ali Khan village. More than 35 women were awarded the certificates after successfully completing a three month- vocational training course which imparted them necessary skills required for professional development. 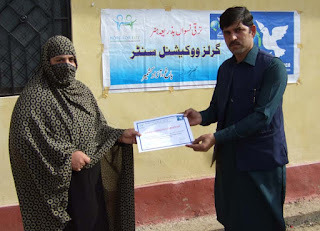 District Co-ordinator Imran Hameed Gillani said that Press for Peace (PFP) has played an essential role in the society by raising awareness among masses about basic rights and the organisation has also provided vocational training to over 400 women from rural and marginalized areas. 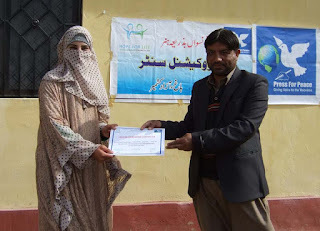 Yousaf Kashmiri maintained that we need to recognize and acknowledge the value of women’s contribution to our society. 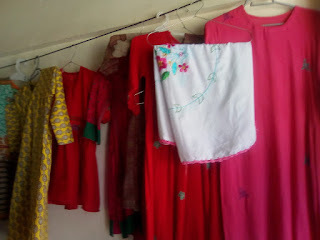 He opined that sustainable development without women is not possible. The speakers said that Press for Peace(PFP) has provided occupational training to a large number of women within rural communities of Azad Kashmir in order to improve their skills. Various community representatives including Sardar Gull Shad, Sobedar ® Farooq, Sardar Tariq, Khurshid Khan, Waqas Gull, Daood Khan, Aslam Magray, Ms Ruina Naaz, Ms Riffat Shaheen, Iram, Nadia and others also spoken on the occasion and appreciated PFP efforts for betterment of deprived communities. 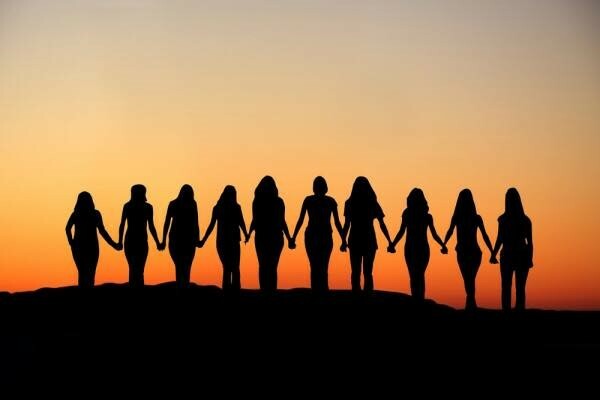 Civil society groups have demanded special measures for economic, political and social development of women. 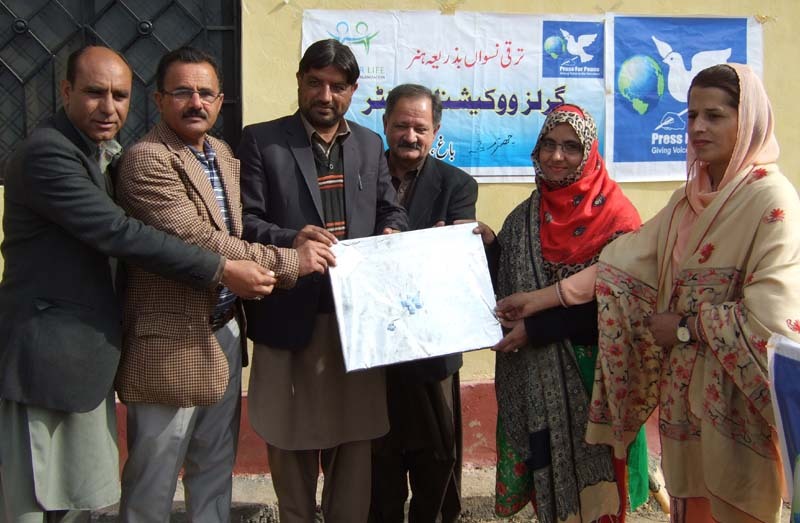 Commemorating World Women’s Day here on Thursday, Press for Peace (PFP) pattern-in-chief Mrs Tanvir Latif said that women should be provided equal opportunities in political, social and economic spheres. In a statement she said that conflict has a devastating effect on the lives and dignity of women. ‘Women are denied from equal opportunities of health, education and better livelihood’, she added. She maintained that without gender equality and women empowerment nations cannot achieve progress, therefore, all governments should initiate special measures for economic, educational and social development of women. The statement said that recent tensions along the Line Control in Kashmir have also increased vulnerability of women; therefore, there is an urgent need to prevail peace in this region to secure the lives of women, children and other civilians. Society cannot progress without active participation of women in public and economic life. 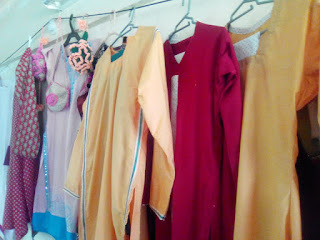 Technical and vocational education and training can play an important role in economic empowerment of women. 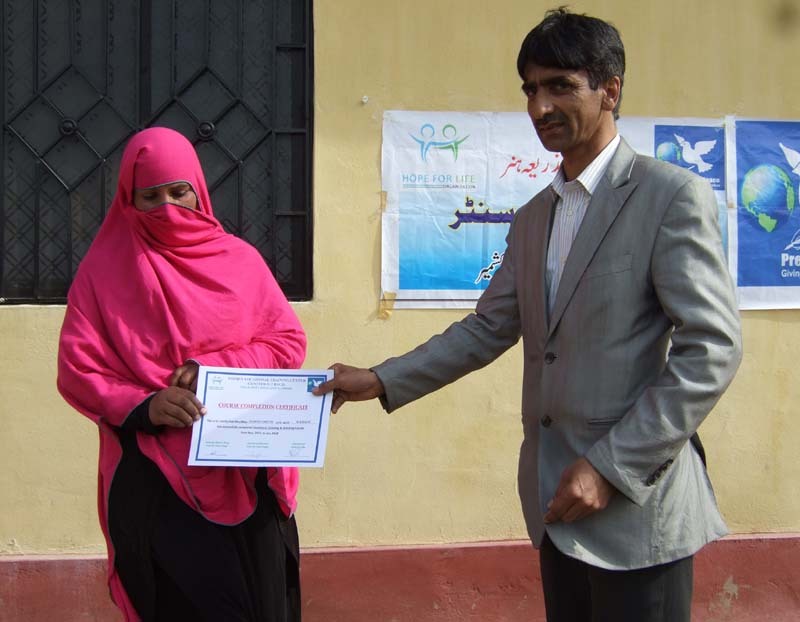 Various speakers expressed these views on the occasion of awarding certificates among women who completed their courses at Women Vocational Centre. 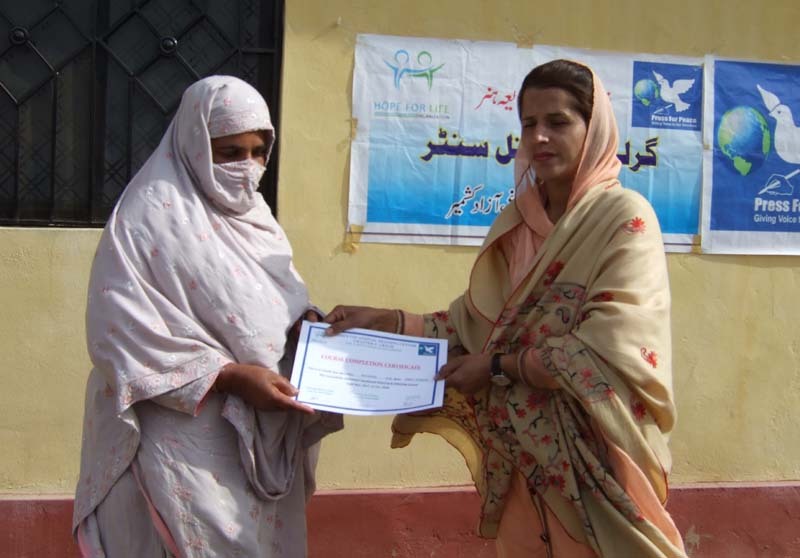 Press For Peace (PFP)’s Women Vocational programme is arranging various vocational trainings for women to give them equal opportunities in social and economic lives. 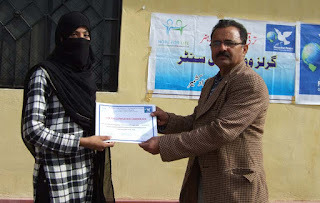 Addressing on this occasion prominent local social worker Khawaja Arshad Dar said that people should change their mind-set about women in order to make our society equitable and progressive. 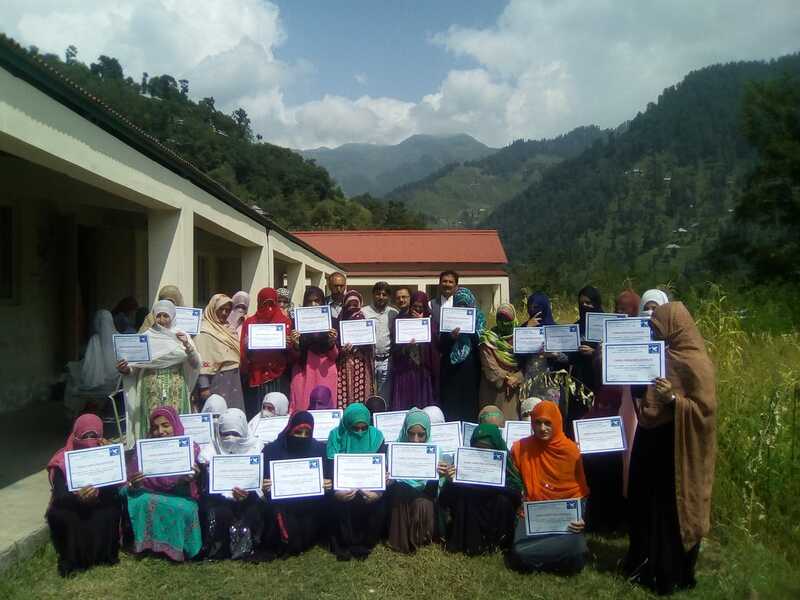 Yousaf Kashmiri said that Women Vocational Project has trained a large number of rural women which are supporting their livelihoods by utilising their new knowledge and skills. Imran Gillani PFP District Coordinator informed that more ‘Women Vocational centres’ (WVCs) would be established in far-flung areas to provide equal opportunities of learning and training to women. The PFP representatives Zahid Gillani, Shoukat Tamoore, Rubina Naaz, Nazia Khursheed and others appreciated the role of local organisations for the development of women and other marginalized segments of society. The speakers also lauded the matchless struggle waged by late Asma Jahangir for the deprived communities of the country. They said that entire country is praying peace for her soul. “She played an active role for the rights of voiceless segments of society and proved to be beacon of hope for everyone,” the speakers added. Dunya News) – Violation of environmental protection laws continues unchecked in Azad Kashmir where discarding of waste and untreated sewage in rivers has resulted in pollution that is adversely affecting not just humans but also aquatic life. In the capital Muzaffarabad, negligence of the district authorities and the environmental protection department has led to the pollution of rivers as waste from sewers and drains is discharged, in blatant violation of laws. With the disposal of polluted water from sewers into the rivers, the aquatic life is at a great risk. Citizens claim that environmental protection department and local administration have failed to ensure implementation of environment friendly laws in the area. “We use the same untreated water from the river…this has resulted in several skin diseases,” said a citizen while speaking to Dunay News. Several others in the area complained of foul smell that originated from the polluted rivers.